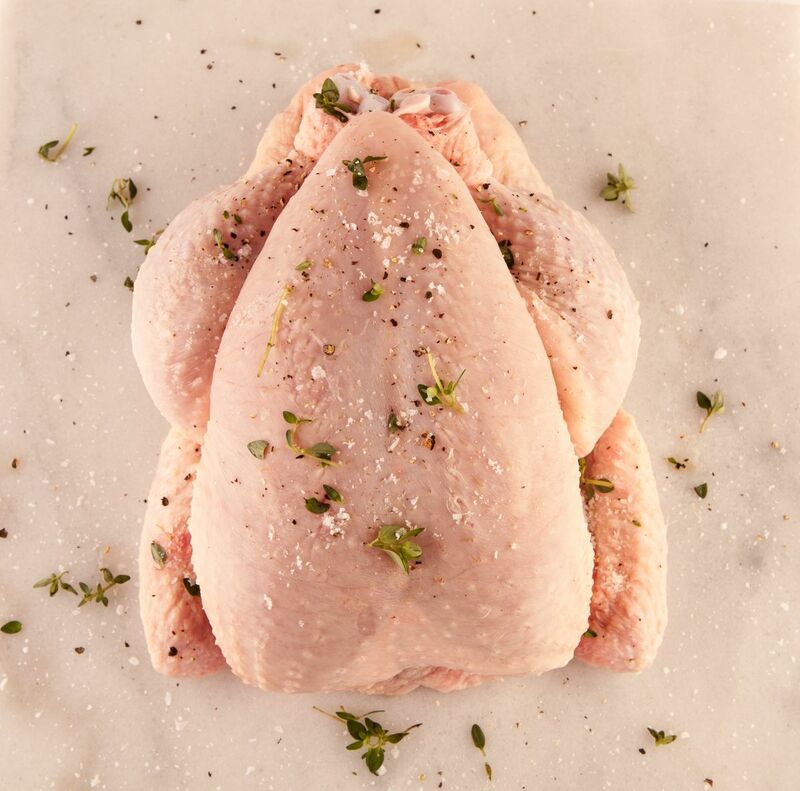 Whole medium chicken; so juicy and tender and such a lovely texture to these birds, This is our best seller in the chicken category as you get a higher meat to bone ratio than the chickens on offer in the supermarkets; which means there is normally left overs for that chicken sandwich later! The birds take over 120 days to fully form before they are set for the table unlike much of the supermarket chickens which are ready for slaughter in 2 weeks!!! TOP TIP: Cook for the recommended cooking time (about an hour to an hour and a half for this bird, depending on your oven) when you think it is cook prick with a fork the skin between the breast and the wing. If the liquid is cloudy it is uncooked; if clear it is cooked.